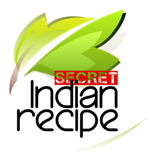 METHOD Take a big bowl and rice flour, besan, wheat flour, semolina, ginger-chilly paste,sugar, turmeric powder, red chilly powder, curd , creame , salt and 2 tbsp oil. Mix them well. Put a pan on gas with high flame and 1 tbsp oil. When oil is hot, add jeera, mustered seeds and asafeatida. Add spinach and fry for 2 minutes at medium flame. Turn off gas. Transfer to prepared batter. Add 1.4 cup of water and mix well to prepare thick batter. Put a pan on gas with high flame and add 3-4 tbsp of oil. When oil is hot, bring down gas to low flame and add prepared spinach batter. Evenly spread it with spoon. Close lid and fry till it become golden brown in colour. Cook it for 3-4 minutes. Check after 3 minute and if it golden brown in colour then flip it with spoon and fry for other side till golden brown in colour. Check again after 3 minutes and if it is fried turn off gas. Break it into pieces with spoon . Take it out in serving plate. Serve with Roti / Paratha /Puri and enjoy delicious taste.